People in Wales are being asked to unite with thousands of others across the UK and step closer to a cure for Parkinson’s. Today, Thursday 11 January, is Parkinson’s UK’s launch of Walk for Parkinson’s 2018, and the charity is inviting people of all ages and abilities to sign up to a walk near them. Walks in Wales include Snowdon on Saturday 12 May, Swansea on Saturday 19 May, which is a brand new walk for 2018, Cardiff Bay on Saturday 16 June, and Lake Vyrnwy on Sunday 8 July. “So please join us at one of our Walk for Parkinson’s in Wales. Every step takes us closer to a cure and our goal of improving the lives of everyone affected by Parkinson’s”. 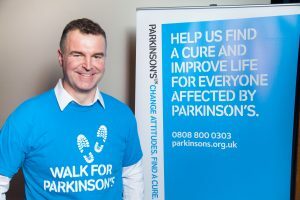 Last year’s Walk for Parkinson’s series had more than 4,300 people sign up to walk and between them they raised £417,700. In Wales more than 550 walkers got involved and raised £62,700. 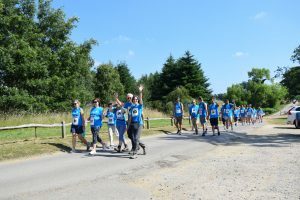 All money raised by Walk for Parkinson’s will be used to help find better treatments, and ultimately a cure, as well as providing support and information for the 7,700 people affected by Parkinson’s across Wales.